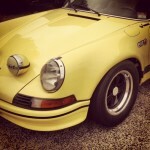 Below is a collection of Classic Porsche’s for sale. They are grouped in Porsche models, as well as our section of other rare and classic cars available from Porsche Classics. Please Click on the picture of each Classic car for a more detailed look.